Over the past 50 years, INVISTA’s CORDURA® brand has pursued continuous advancements that have helped shape the world of military, workwear and outdoor/lifestyle products. To celebrate these five durable decades, CORDURA® brand will announce new fiber and fabric innovations, exciting end-use applications and on-trend collaborations throughout 2017. 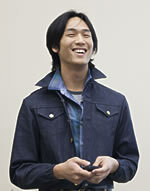 Cone Demin - Cone Denim and CORDURA® brand teamed up to create vintage-inspired classic selvage denim with a modern twist. 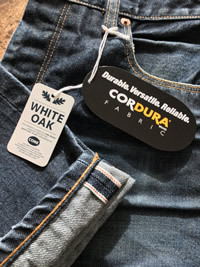 Produced in the legendary White Oak facility, CORDURA® Selvage Denim is created on American Draper X3 Fly-Shuttle looms through a collaborative development process. 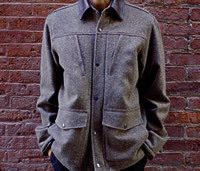 Wool-Dura™– Taking inspiration from their ‘90s hunting collaboration, CORDURA® brand and Woolrich® brought back classic Wool-Dura™, a specialty blend of iconic Woolrich® wool and nylon 6,6 CORDURA® fabric originally used for hunting apparel and now styled for today’s active outdoor living. ISPO TEXTRENDS - This year, CORDURA® brand won “best product” award at ISPO TEXTRENDS, honored for its CORDURA® 4EVER™ knit by Yoonia, Korea in the base layer category. On top of that, CORDURA® fabrics fabrics won 50 awards – the most awards won to-date by CORDURA® brand in this global trend platform for sport and outdoor performance textiles. For more information, visit cordura.com/50years. Where to Buy CORDURA® fabrics? 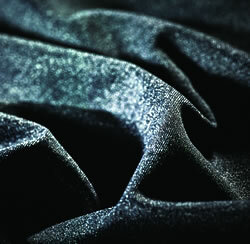 Interested in purchasing CORDURA® fabric? 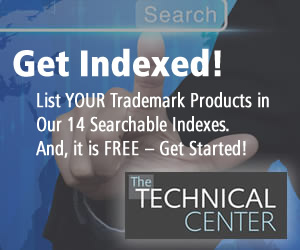 There are a variety of authorized sources to choose from across the globe. 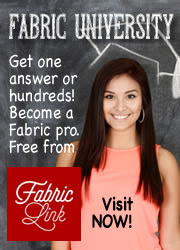 Be sure to check out our online fabric showcase here, or contact us directly to learn more at cordura@invista.com. Interested in learning more about our 50 at 50? Check out the latest news on our innovations and collaborations!